This past weekend saw Joe Public celebrating yet another year of creative excellence at the Pendoring Awards, leading the night with 1 Gold and 3 Silver Pendoring awards. 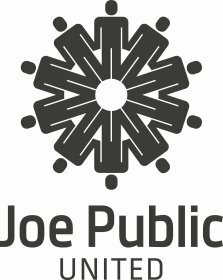 With a total of ten out of 77 finalists, Joe Public did well by racking up a substantial 2014 finalist list and converting 4 of them. Entries were received by 20 agencies and a number of South African advertising schools bringing the total of this year’s entries to 330. “In a tough economic climate, the only approach remains creativity and innovation. We’re privileged to partner with clients who are uncompromising on excellence and united in our vision that creativity breeds growth,” said Pepe Marais Chief Creative Officer, Joe Public. With the total number of awards spread across a wide range of categories for Joe Public, pure creativity was the agency’s real winner.